Innovation is a topic that those who work in the sporting goods industry talk about a lot. Innovation at retail. Innovation in products. But what do consumers think? In the survey on these pages, conducted by MESH01, 100 respondents told us about the technologies they respond to in retail, and cited some of the gamechanging innovations they see in active apparel, footwear and gear. 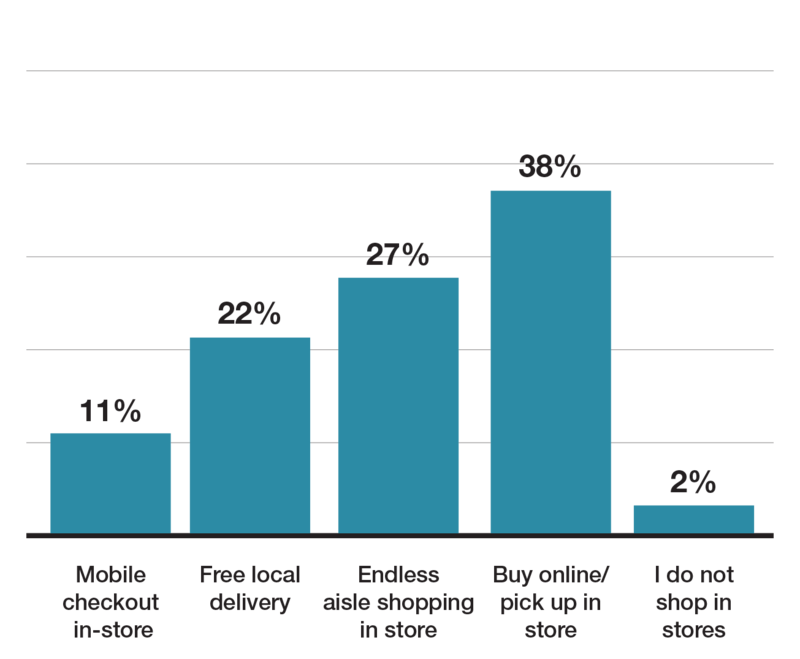 Thirty-eight percent say they would be more likely to shop at a store that offered a “buy online, pick up in-store” option. 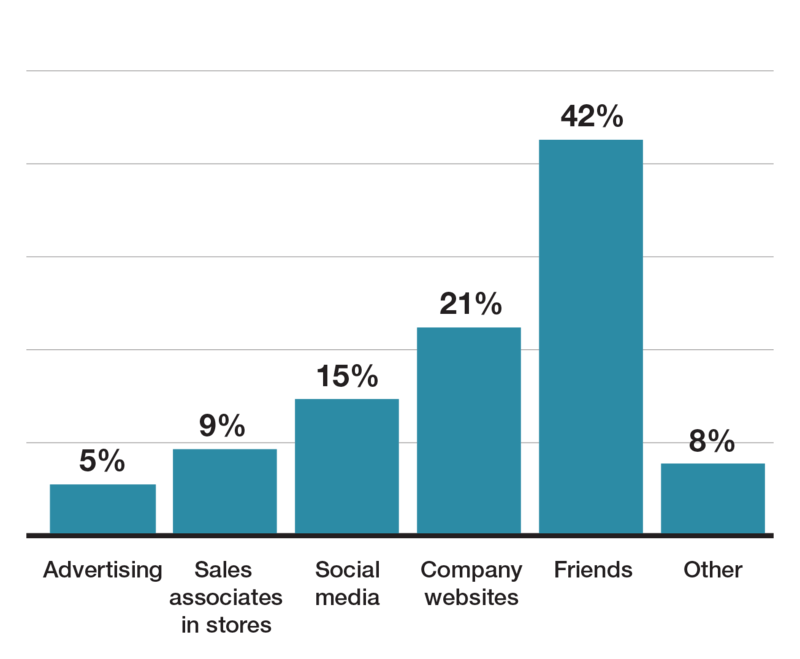 And 27 percent seek “endless aisle” shopping at brick-and-mortar stores. 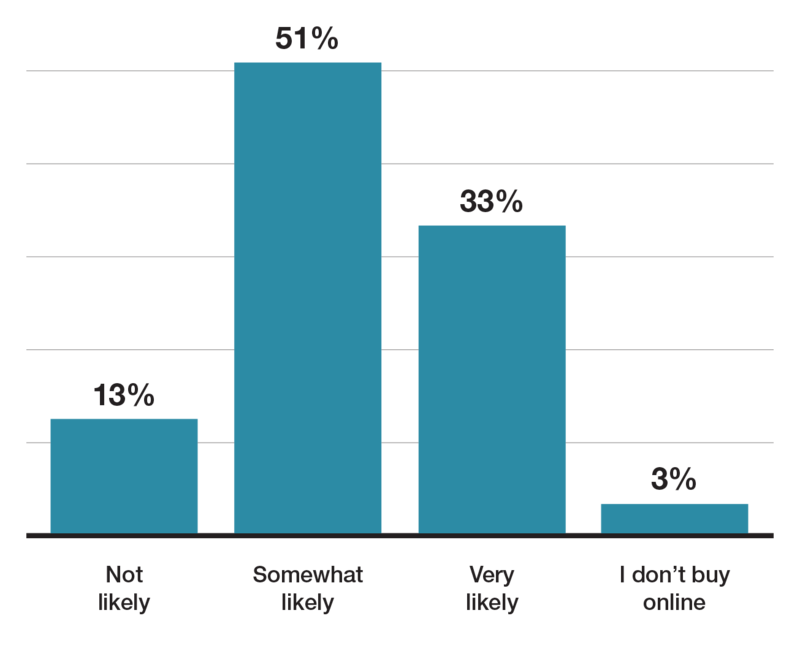 Eighty-four percent say they would be at least somewhat likely to spend more time at a store and potentially purchase more products after buying online and going to pick up in-store. When it comes to technology in products, more than 65 percent say they learn about new tech via advertising, social media or friends. The most trust-worthy source, per our respondents? 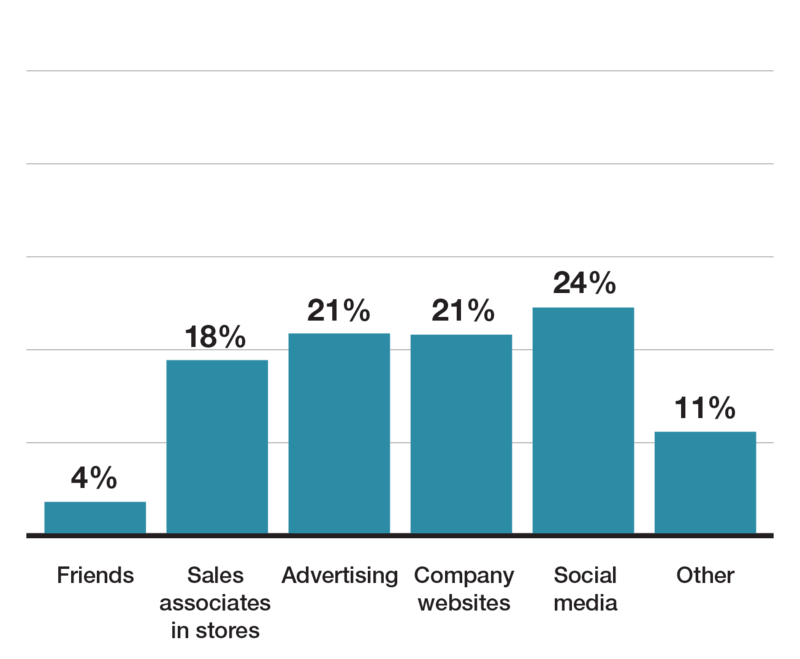 Friends, with 42 percent trusting friends more than company websites (21 percent). Turn to page 28 to see the open-ended replies from consumers about the gamechangers they see on store shelves. 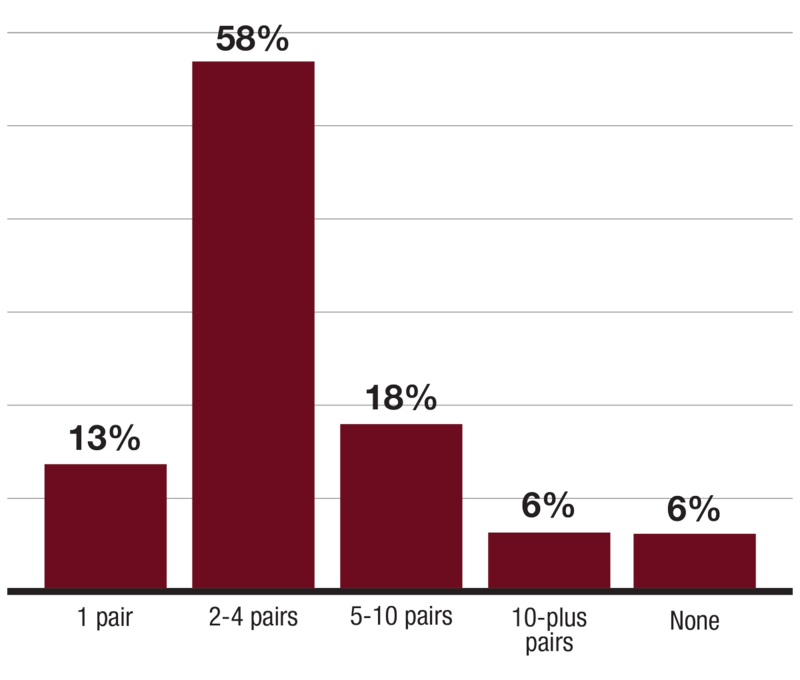 The research study consisted of a panel of 100 participants, male and female, ages 18-60. Which of the following options make you more likely to go shop at a store for sports apparel, footwear or gear? How do you learn about new technologies in athletic footwear, apparel or gear? If you buy online/pick up in store, what is the likelihood of spending more time at the store and purchasing other products once there? What source do you feel is the most trustworthy? When you work out, which type of shirt are you more likely to wear? When you select socks to work out in, what traits are most important? We surveyed 100 consumers. Here is what they told us. 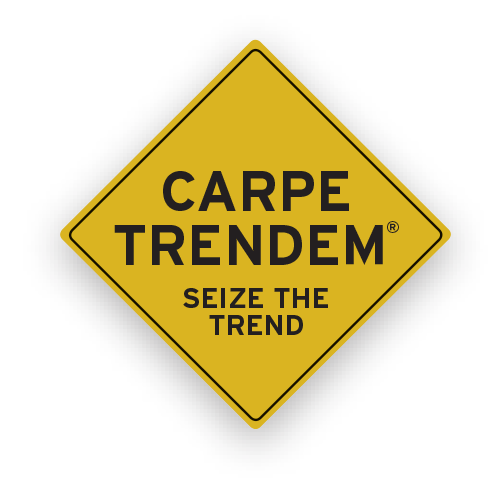 TREND INSIGHT® and Carpe Trendem® are trademarks of Formula4Media, LLC. © 2018 all rights reserved. Trend Insight Consumer is a feature within Formula4 Media Publications that delivers research conducted on the MESH01 Platform. MESH01 collects data from a select panel of enthusiasts. For information on the Mesh01 Platform, contact Brian Bednarek at 603-766-0957 or brian.bednarek@mesh01.com. 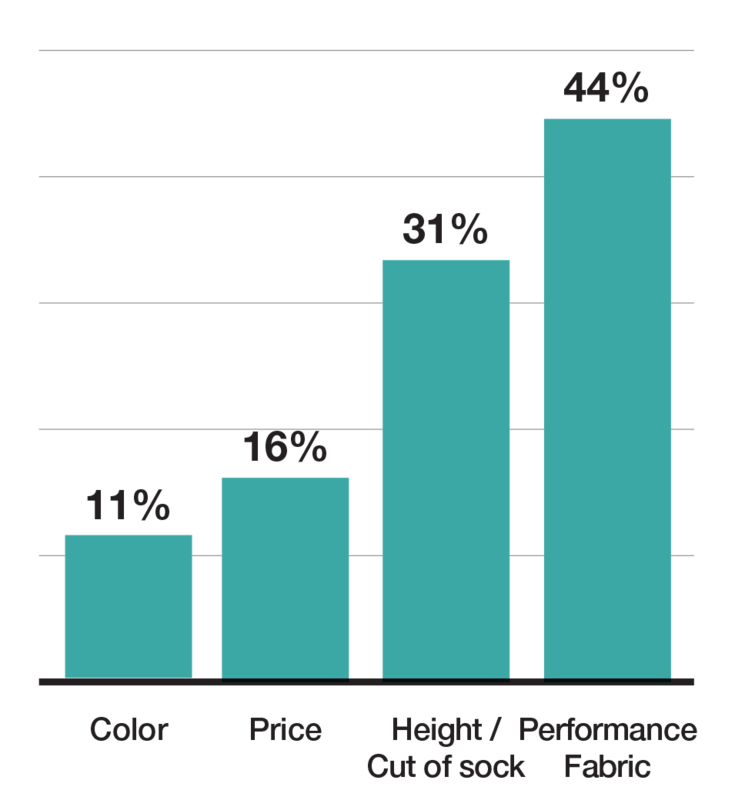 For more information on Trend Insight and how your company can participate, contact Jeff Nott at 516-305-4711 or jnott@formula4media.com.